Sharp pain when inhaling can be very distressing. You may notice it become worse when you take a deep breath. You may have this symptoms with disorders not directly related to the lungs. There are so many factors that can contribute to this condition. If you have a "knife-like" sensation when inhaling, be sure to talk to your doctor for further evaluation. Let's find out more about it. In order to treat your condition, you need to identify the underlying cause first. Here are some possible causes and treatment options. 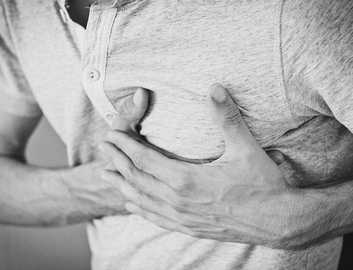 Pulmonary embolism is a sudden blockage of an artery in the lungs by a blood clot that traveled from other parts of your body, most commonly from your legs. A blood clot that forms in a vein can break off and travel through the circulation – it is called an embolus. Pulmonary embolism can be fatal, as it can cause low oxygen levels in your blood, which can damage organs, permanently damage part of a lung and cause death if multiple clots cause the problem. Symptoms: The most common symptoms of pulmonary embolism are shortness of breath, a sharp pain when inhaling, and a rapid heart rate. You may also have leg pain, rapid heartbeat, fever, clammy skin, dizziness, and excessive sweating. Diagnosis: Your doctor will examine you thoroughly and may order a few blood tests to look for the presence of a substance called D dimer. If there are higher levels of this substance, chances are you have blood clots in your body. Blood tests may also help confirm the amount of carbon dioxide and oxygen in your blood. Along with blood tests, your doctor may use ultrasound, chest X-ray, pulmonary angiogram, and spiral CT scan to make a correct diagnosis. Treatment: The focus is on controlling the size of the clot. You need immediate medical assistance to prevent serious complications because clot can increase in size with time. This would be achieved with the help of medications, such as blood thinners and clot dissolvers. Surgery is inevitable in certain circumstances. Your doctor may use a thin catheter to remove the clot to prevent life-threatening complications. They may sometimes use a vein filter to keep clots from going into your lungs – your doctor may use it only when you cannot take anticoagulants. The space between your lung and chest cavity is called the pleural space. You develop a pneumothorax when air builds up into this space, and this can lead to a collapsed lung. You develop this problem following an injury that leaves a hole in the pleural space. A disease like emphysema can also cause the same. Symptoms: What you experience depends greatly on whether you have a partial or complete collapse. 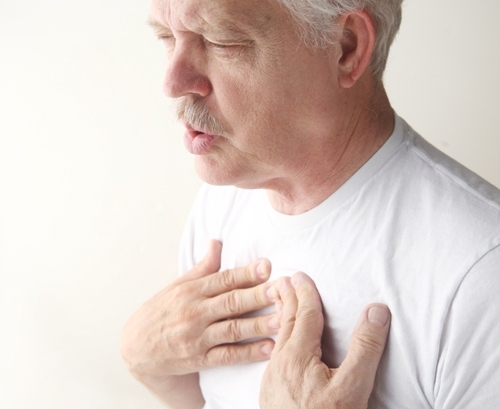 You may experience shortness of breath with acute chest pain when you have spontaneous pneumothorax. In case of tension pneumothorax, you are going to experience chest pain, hypoxia, dyspnea, and hypotension. Some patients may also have symptoms of persistent cough, dysphagia, sore throat, vomiting, and nausea. Diagnosis: Your doctor will consider your medical history and perform physical examination to make a correct diagnosis. Your doctor may order chest radiography, chest ultrasonography, chest CT scanning, and contrast-enhanced esophagography to evaluate suspected pneumothorax. Findings on lung auscultation may provide information about the extent of damage. Respiratory findings may include asymmetric lung expansion, tachypnea, respiratory arrest, and decreased tactile fermitus. However, cardiovascular findings may include hypotension, cardiac apical displacement, jugular venous distention, and tachycardia. Treatment: Your doctor will select a treatment approach depending on your unique circumstances. They may use a risk stratification framework to help restore lung volume and prevent recurrences. The most common medical therapeutic options include simple aspiration, watchful waiting, and tube drainage. Surgery is necessary in certain cases, especially when you have repeated episodes of pneumothorax. The most common operative therapy options include laser treatment, electrocautery, thoracoscopy, open thoracotomy, and resection of pleura. Certain medications are also used for better management – the list includes benzodiazepines, opioid anesthetics, local anesthetics, and antibiotics. 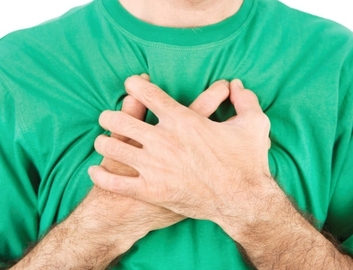 What Causes Both Shortness of Breath & Chest Tightness? 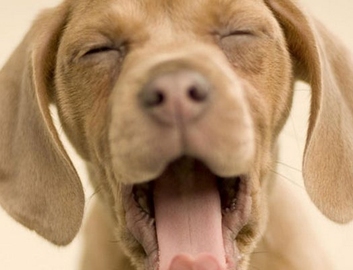 How Can You Freshen Dog's Breath?